Rochester, NY (March 17, 2019) – Police with Rochester were called to the scene of a car accident that led to serious injuries at the intersection of Andrews Street and North Clinton Avenue. The accident took place around 11:30 a.m. yesterday, March 16th. At the time, a Jeep was headed southbound on the roadway when it struck a 2010 Kia. The impact of the Jeep was so forceful that it caused the Kia to roll onto its roof. The driver of the Kia was taken to the Strong Memorial Hospital so that they could receive treatment for their injuries. At this time, no names have been released. The investigation into the matter continues. At this time, we would like to take a moment to reach out and extend our sincerest sympathies to those who have been injured in this car accident, with the hopes that they will receive full recoveries from their injuries. We understand how serious these accidents can be and the lasting impact they can have on your life. 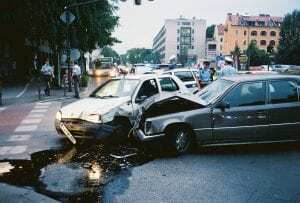 If you have been injured in a New York car accident and you believe another party is at fault, we want you to know that you are not without options. Our accident attorneys at Hach & Rose understand how desperate you might be feeling on both emotional and physical levels as you navigate through the legal system and work toward the compensation you deserve. As the bills continue to pile up against you, you might wonder if you should have a legal advocate on your side who understands New York laws and will be able to help you receive the damages needed to move forward. Please contact us to find out how we can help you today at 212-779-0057.